Still, it is hard to deny the fact that the very presence of the Bolt is a sign that electric vehicles are about to go much more mainstream. 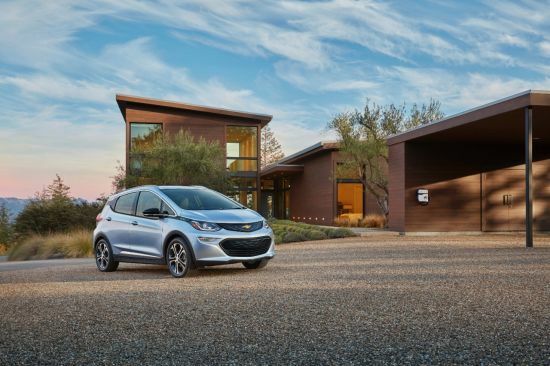 With the anticipated 200-mile usable range and coupled to a $30,000 post-incentive price tag, the Bolt represents the first EV that will likely meet the driving needs of a much broader audience. While not present, the conversation inevitably shifted to the announcement that Tesla would be giving the public its first look of the Model 3 later this year. While we know absolutely nothing about the Model 3 aside from the fact that it is expected to deliver similar specs of a 200-mile range at a $35k price tag, the sheer overlap of the specs means that before either car is in consumer hands, the comparisons have already started. Of course, this kind of buzz is a good thing as it brings the discussion about usable EVs back to the forefront. Even Elon Musk was pleased to see a mainstream automaker finally put out a credible effort at an EV since it means greater exposure for the technology that he has bet Tesla Motors on. In a somewhat paradoxical twist, while EVs and other forms of alternative transportation got a significant boost in exposure, the gasoline powered car is far from dead. If anything, the state of the dead-dino powered car is quite good, with nearly every manufacturer releasing cars that utilize not only gasoline, but the latest in forced-induction technologies. In fact, the newest motors are using turbocharging and supercharging to great effect to not only produce huge power, but doing so from significantly smaller displacements. Everyone from Ford to Infiniti to Volvo has new or updated models sporting small displacement turbo engines that rely on turbocharging to push out well over 300-hp. To keep fuel consumption in line, Volvo has even combined their turbo engine with a hybrid system that not only helps improve fuel efficiency, but also adds a significant performance boost in the process. It is a great time to be a fan of big power. Sadly, it is not a great time to be a fan of the manual transmission. Nearly every car revealed at Detroit this year will come to market with nothing but some form of automatic transmission. The numbers of manual transmission options continues to dwindle. Those cars that continue with a manual as an option are extremely difficult to find on dealer lots and often available only without some of the higher end options such as navigation. There are a few notable exceptions, but those of us who enjoy manuals are going to need to start looking elsewhere for our engaging driving experiences. Luckily the used car markets still offer some potential. So with EVs and hybrids making a big splash at the same time that powerful turbocharged cars continue to drive the future of gasoline cars, the average buyer has a ton of options available to them within the next year. This year should be filled with excitement in the auto industry.